The school continued its programme of events today with the visit of Eamon & Barry- members of the Monastervin-based ‘Lord Edward’s Own’ historical reinactment group. The pair kindly gave up their time to talk to 2nd years about some of the armed groups who were vying for control in the lead-up to the Rising itself. They painted a vivid picture of the turbulent times which framed the events of 1916. 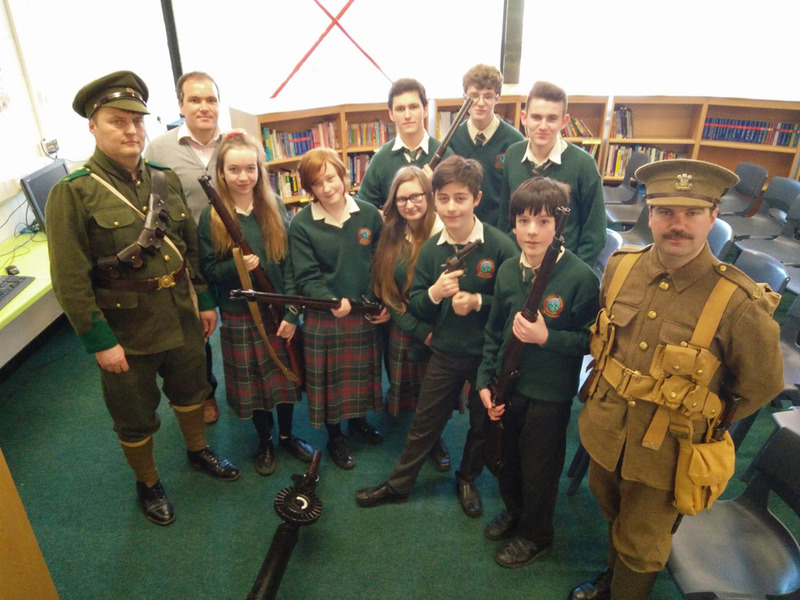 As well as dressing as a contemporary British soldier and Irish Volunteer, they brought a genuine collection of weapons used during the period which proved a great hit with the students!